Don’t sleep on this headz!! A little-known group of Puerto Rican rappers, the New York-based Mesanjarz of Funk released just one 1993 self-titled full-length, on Atlantic. 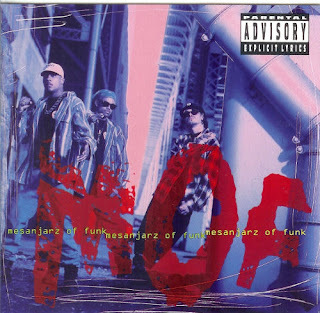 Based around Jose Moronta and Donald Powells, the group found little success with a pair of singles, «Keep It Flowin'» and «Funk in da Trunk.